2018 is slowly coming to the end, so I already started to look in the future and started to plan my trips for the next year. The past year has been filled with the longest backpacking trip in my life and other great things. Unfortunately, I had to cancel a trip in September due to university-related problems. Even though I was looking forward to this trip it seems like I will finally have a chance to see those amazing places next year. That trip will not be the only one next year so let’s begin from the start. 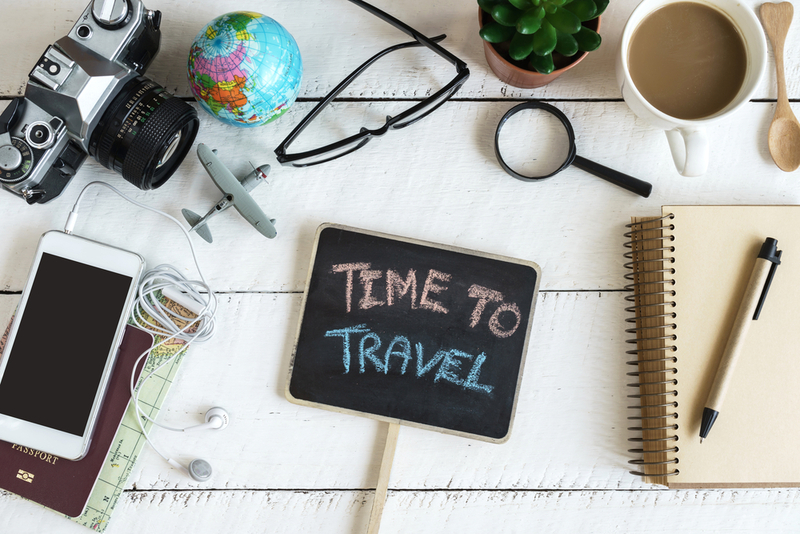 2019 in traveling will begin on the earliest time so far. At the beginning of February, I will embark once again to South-East Asia. This region has become an annual destination during this time of the year because I spent roughly three months there already in the past couple of years. My first destination will be one of the most densely populated areas in the world, Manila. As you probably know already I was in the Philippines already this year, including to Manila. The country and the city itself offer way more than some people think. The entire Philippines proved to me as a place with one of the friendliest people that I have ever met on any of my trips so far. That is why I will explore this place a little bit more in depth. One of the highlights of this trip will definitely be Singapore. Even though that I have been there a couple of times already it will be different this time. Singapore is a place where various of different ethnicities live together. The most important are probably the people who originate from different parts of China. This is the reason that this small country in South-East Asia is one of the best places outside of China to witness traditional festivals. I will be there between 4th and 6th of February which means that I will be able to see the beginning of the Chinese New Year. This year my trip began too late so I was not able to see the beginning of this two weeks long festival. At least I was able to see the end of it in Malacca, Malaysia. That was a sight to see from my perspective as well. 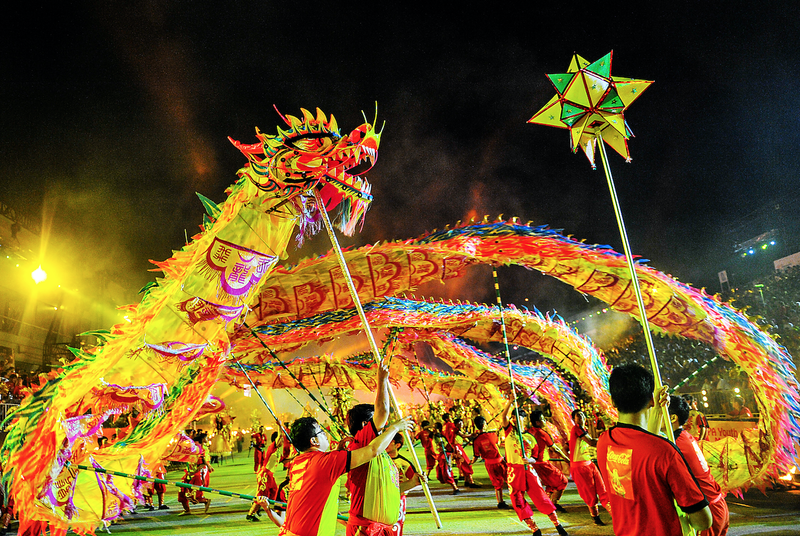 Chinese New Year celebration in Singapore (Photo by ETB Travel News). The place that I’m looking forward to visiting the most in February is Myanmar, also known as Burma. 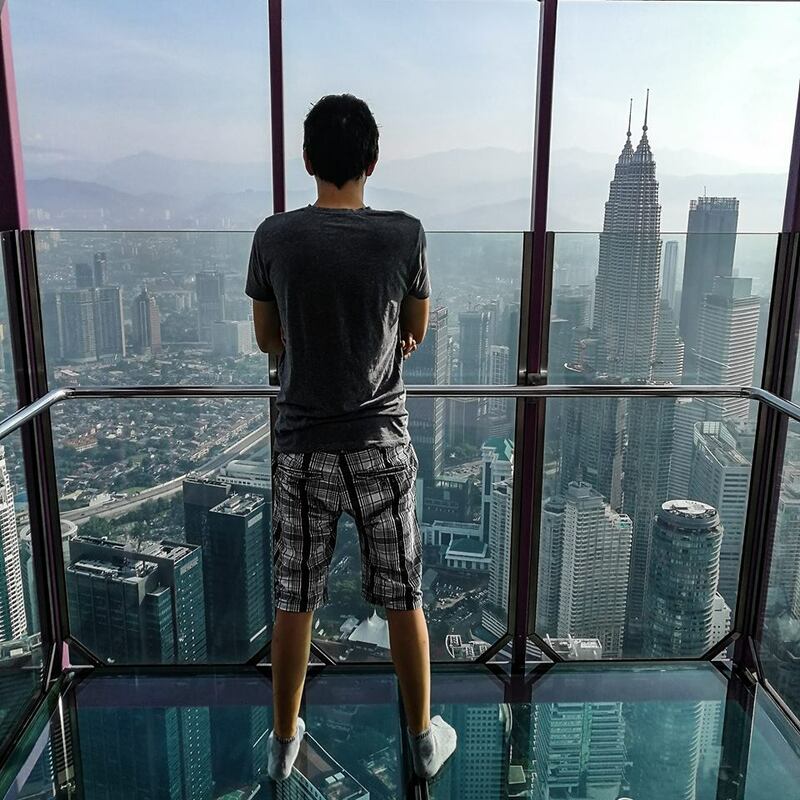 The least visited country in South-East Asia has opened its doors to tourists not that long ago and since then more and more people travel there. Now is the time to explore it before it gets too crowded. Unfortunately, I will only have about two weeks to explore it so I will not be able to see everything. And to finish of this trip, I will spend my last part of the trip to Bangkok. I always like returning to that city especially because it is one of the best food destinations in the world. I have tried many different foods there but there are many more that I have not tried yet or probably never heard about them yet. My next trips will happen in the spring months of March in April. Both of them are more like jaunts because they will be short in the number of days but big in its importance. Right at the end of March, I will travel to the sunny state of Florida, more precisely Miami. My main purpose of this jaunt is to watch an NBA game between the Miami Heat and Dallas Mavericks. This will be the first time for me to watch an NBA game live in an arena in North America. I found really cheap flight tickets earlier this year so I did not think twice before buying them. That is probably the same reason among hundreds of other people from Slovenia that will watch this game. Yes, you read correctly. Hundreds of people! So far the confirmed number of people that will go there is higher than 400 and till that game is still more than 3 months so the number will increase by then for sure. This will be a game where we will be able to see our former captain and one of the best Slovene players in history, Goran Dragić (Miami Heat) against Luka Dončić (Dallas Mavericks), a rookie in the current season but fastly becoming a star in that league while in Europe he already is. I will also explore the city itself as well which is also known as the capital of Latin America. Luka Dončić (#77) and Goran Dragić (#3) after the win in the final of the Eurobasket in 2017 (Photo by FIBA). At the end of April, I will have a week-long city break in the capital of Germany, Berlin. I have never been there before nor in any other places in the northern part of Germany. One of the most important parts of the year for travelers like me is around the end of November. Most people wait for the Black Friday and Cyber Monday deals for one or another reason. I wait for numerous travel-related deals. This time I was able to get a really cheap return flight to Berlin from Venice Treviso airport. I also bought/booked other travel related things during those few days as well. One of those things were shuttle transportation from Ljubljana to the airports to where I will fly on my trips in the following year (Zagreb, Vienna, Venice-Treviso). On a discounted price, of course. In 2019 I will finally be able to go to the region where I had been planning on going for about 3 years now already. I almost went there this September but like I mentioned in the start I had to cancel it, unfortunately. On the brighter side, this time I will have much more time to explore the Caucasian countries. Furthermore, I will also spend a few days in Istanbul and see some more places that I did not in 2017. My trip will start with hours-long transportation to Budapest (probably bus). I will spend a night there because otherwise, it would have been quite narrow with the flight departure and quite exhausting as well. My first destination will be the Land of Fire. Azerbaijan offers many different sights and experiences. After about a week or so I will board on a night train going to Tbilisi, capital of Georgia (country not a US state!). Georgia has a very long history that dates back to the Ancient Greek period. A legend from that time actually connects Georgia and Slovenia (more about that next year). The land is filled with amazing architecture, hiking options, and great food. Actually, “world’s oldest wine” has been found in 8,000-years-old jars in Georgia! My next destination will be Armenia. The smallest country in the region offers a lot of things as well. What people are most surprised about that place is how big and developed the coffee culture is there. My base will be in Yerevan which is the capital of Armenia and from there it is easy to make one or multi-day tours. The last leg of this trip will be in Istanbul. I have not decided yet from where I will fly. I might fly from Yerevan or I might go back to Georgia and fly to Istanbul from there. The cheapest option will win. I am looking forward to 2019 which already seems that will offer some amazing life experiences. Some additional trips might still happen but those will depend on the time that I will have and my budget for next year. 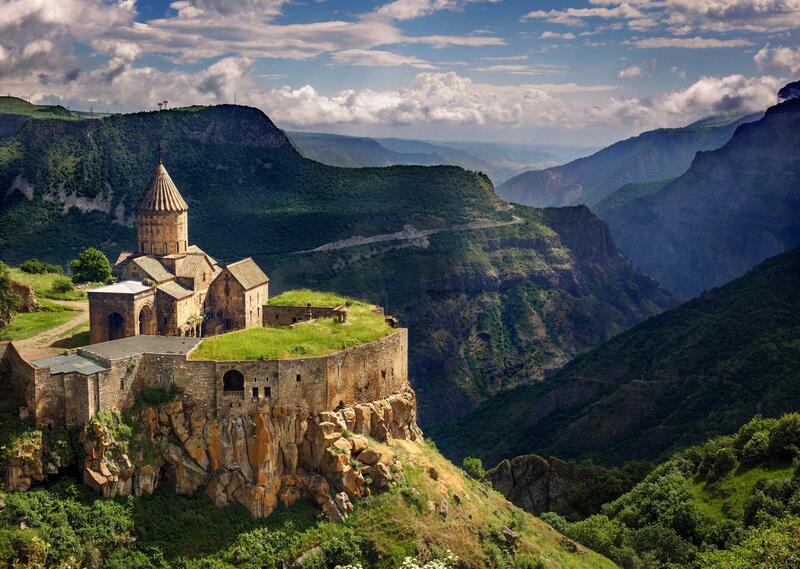 Tatev Monastery in Armenia (Photo by Florian Neukirchen, Alamy Stock Photo).